Last week, two year-old twin sisters Harmony and Harmani West tragically drowned in the swimming pool of their apartment complex, Tivoli Park, in Deerfield Beach, Florida. Since the incident, while the parents are attempted to cope with their brutal and unfair loss, residents and neighbors have clearly and unequivocally placed the blame on the management company for the family’s loss. As discussed last week in our first entry on this tragedy, Florida Law imposes that residential swimming pools be fenced in. At the time of passage of the new law, drowning was the leading cause of death of young children in the state of Florida. The Legislature received testimony of experts throughout the legislative process confirming that constant adult supervision is the key to accomplishing the objective of reducing the number of submersion incidents, and that when lapses in supervision occur a pool safety feature designed to deny, delay, or detect unsupervised entry to the swimming pool will reduce drowning incidents. Tagged: "deerfield beach", "Drowning Accident", "florida statute 515.29", "Harmani West", "Harmony West", "self-closing fence", "self-latching locking device", "swimming pool safety", "Tivoli Park" and "wrongful death"
Harmani and Harmony West were just 2 years old, yesterday in Deerfield Beach, they drowned in the pool of the apartment complex in which they lived with their mother. 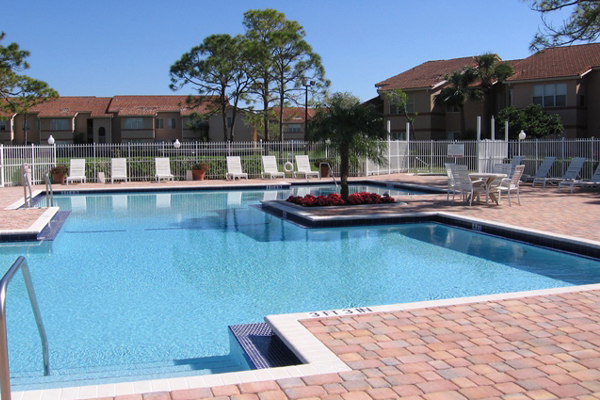 The apartment complex, Tivoli Park, has 6 pools and spas according to their website, all of which are gated with a locked door to prevent these exact incidents to occur. Witnesses did tell authorities that the lock on the pool in which the two small children drowned was broken and did not prevent the toddlers to gain access to the water. According to the responding officers, a couple visiting from North Carolina who was staying at Tivoli Park noticed a girl floating in the pool as the man made its way to the hot tub. He jumped in the pool and dragged the girl’s body out of the pool as quickly as he could. The woman then noticed a second body. The couple called 911 and efforts to resuscitate were undertaken aggressively performed by CPR. One of the girl was taken to Broward Health Medical Center by ambulance, the other by air, but later that night, both girls were pronounced dead at the hospital. The early investigation of the officers has shown that somehow the twin girls had somehow been able to exit their apartment and walked to the pool area. The pool was gated, but the lock on the gate was broken and the girls ended up in the pool. Tagged: "broken lock", "deerfield beach", "Drowning Accident", "Harmani West", "Harmony West", "residential swimming pool safety act", "swimming pool safety" and "Tivoli Park"